View all current homes for sale in Dillman Farms, Greenacres, Florida. Click on a listing to the view property details, photos and maps. If you would like to change or expand your search criteria, go back to the Greenacres search page, or try using our Advanced Search. This large two story home priced right! Ready to move in condition with 5 bedrooms 3 full bathrooms with a large yard/patio great for pets. One bedroom is located downstairs with a full bathroom. Four bedrooms and two full bathrooms upstairs. Two car garage plus a great size driveway. With accordion shutters throughout the home for easy hurricane preparation! Property has well water for irrigation system. Located in a quite neighborhood in between Southern and Forest Hill for easy access to the Turnpike and I95. Great schools around the area and shopping plazas plus the Wellington Mall. HOA is $380 quarterly. Internet Service - ATT Gi-gapower (1GB & down) Comcast currently installed. Own this home for 0% DOWN and payments LESS THAN $2,500/Mo! 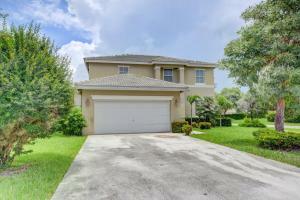 * Beautiful 5bed/3bath corner lot home in central Greenacres location close to everything! NEWLY installed wood flooring, TONS of natural lighting, LARGE kitchen and SPACIOUS bedrooms. Master suite on 2nd floor with WALK IN CLOSETS, LARGE ceramic tub and his/her sinks. FULLY FENCED in yard with plenty of space to spend time with kids and/or puppy children. Located in the highly desirable Dillman Farms neighborhood, community offers a community pool and friendly residents. Home is expected to receive multiple offers, call TODAY for details. *Not a commitment to lend. Restrictions apply. Call for details.